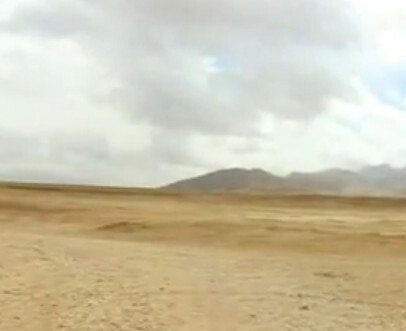 In 2008, the Iranian-based Centre For Sustainable Development And Environment (CENESTA) produced a short film about the climate change struggles of two nomadic pastoralist confederations in Iran: the Qashqai and the Shahsevan. The odds are good that you’ve never heard of either confederation before today, so a brief introduction is in order. Because more than 90% of Iran’s surface is arid or semi-arid land, pastoral communities play an important role in food production. Primarily, these communities use adaptive and sustainable systems that utilize the region’s scarce natural resources. The largest group of nomadic pastoralists in Iran is the Qashqai Confederation. The Qashqai live and migrate through parts of the Zagros Mountain range of southern Iran, mostly within the province of Fars. Their environment is pretty arid, with an average annual precipitation of about 300mm. For that reason, the Qashqai found it best to live in coordination with nature. This led them to a livestock-based livelihood system based on migration. The Qashqai traditionally migrate with their herds twice per. The Shahsevan are a heterogeneous collection of tribes in northeastern Iran that, some academics claim, were organized by Shah Abbas I in the 17th century as a militia to put down rebellions led by other tribes. Whatever its origin, the Shahsevan were ultimately divided between Iranian Azarbaijan and the former Soviet Azarbaijan after the occupation by Russian forces during the Ghajar dynesty. Many Shahsevan have now settled as villagers; however there are still some 50,000 Shahsevan who continue to live a nomadic or seminomadic life. During the winter season, they live near sea level on the Moghan steppe; and in the summer, they travel about 160 kilometers south to the high pastures of the Savalan range, in the districts of Ardabil, Meshkin, and Sarab. Some Shahsevan participate in a dual economy, in which they share or exchange pastoral for agricultural produce in different villages. Although migrating pastoralists in Iran only number about 2% of the entire population (1.3 million pastoralists, according to government figures), their efforts satisfy about one quarter of the country’s livestock needs. However, that may be changing now—and with it, the traditional life of both the Qashqai and the Shahsevan. As you witness in CENESTA’s film, the pastoralists are experiencing an increasing amount of pressure in the way of food and water scarcity , a problem they attribute to global climate change and those responsible for it.